“She’s been my hero for decades.” And the nine-year-old daughter of our video editor hurried into the studio because she was writing a school report on Goodall (she got an A, by the way). Everyone was aware of who Jane Goodall is or what she has done to close the gap between the animal world and our own species. 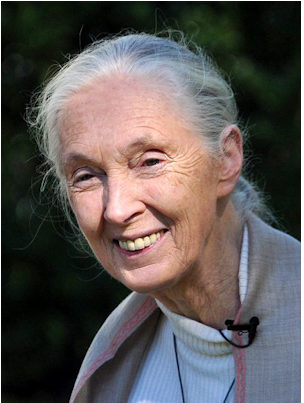 Goodall herself evolved from a youthful enthusiast of animals—inspired by her father’s gift to her of a toy chimpanzee he named Jubilee—to the world’s most noted observer of chimpanzees and a global activist for all of life on earth.